Built in 1998 and formally opened by the Governor of West Sumatra, WavePark was the first resort in the Mentawai Islands at a time when it was considered impossible to build a resort in the Mentawais. This feat was accomplished through a respect of local culture and traditions, forging strong local relationships and ensuring that local laws and permitting were followed throughout. WavePark is a joint venture that actively contributes to local communities, creates direct and indirect employment, supports local culture and has instituted industry leading sustainability initiatives throughout its operation. The resort is stunningly beautiful, an industry leader in sustainability, and provides access to all the best breaks in the northern Mentawais including Rifles, E-Bay, Kandui Left, and many many others with left hand freight train “Hideaways” directly out front of the resort. Single use plastic water bottles have all but been eliminated, local produce is used almost exclusively, wastewater is treated onsite, and septic leach-fields fertilize food and decorative gardens. 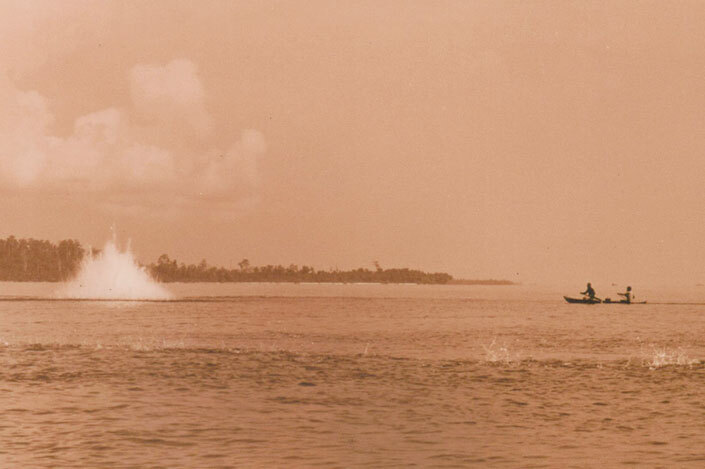 Wavepark has been instrumental in leading the fight against dynamite fishing which has plagued the Mentawais during the surf tourism off-season. 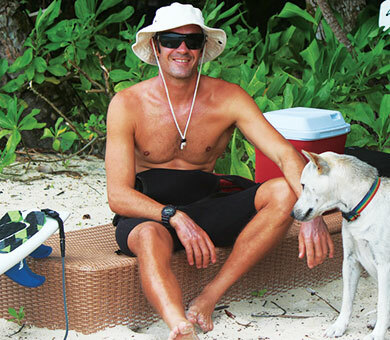 As a pioneer of installing moorings in the Mentawais, WavePark empowered their local staff to be at the core of the movement from the beginning. Employees were able to take ownership of the moorings and they were trained on how to maintain them for WavePark and other surf tourism operators to use. The boat captain has even begun researching the potential for installing artificial reefs in areas that have been impacted by other industries in the Mentawais. 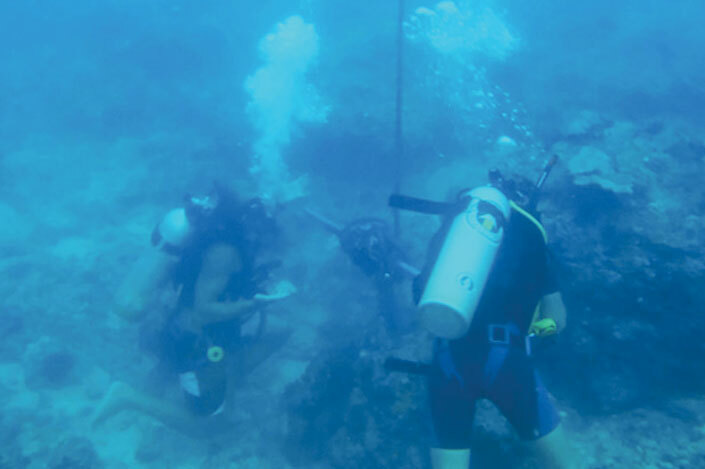 Since the WavePark staff possess such great knowledge about the moorings, coral reefs, marine life, and native plants, you can gain a rich interpretive experience about the local environment while scoring barrels. The bungalows and villas that make this oasis were carefully crafted with the utmost consideration for the island’s natural environment. Out of the 66 acres, 9 acres were cleared for construction and then restored and offset with native vegetation from the surrounding islands. Besides the concrete and nails, all of the materials and labor used to construct the resort were sourced within the Mentawai islands. 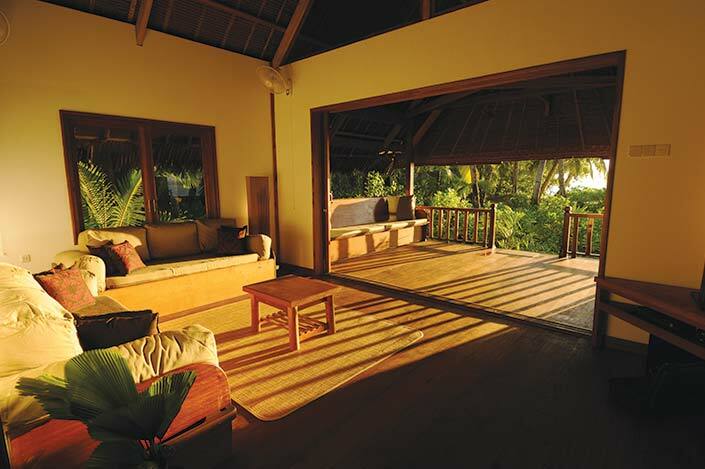 All of the buildings incorporate passive solar design so you can keep cool in your bungalow after surfing Rifles for three hours under the Indo sun. The high ceilings, open ventilation, large overhangs, and adjacent vegetation minimize sunlight penetration into the rooms while allowing natural breezes to keep the rooms cool and reduce energy consumption. WavePark guides help you find the break most appropriate to your skill level—not everyone is up for 12ft Kandui, but its just a 30 minute boat ride if you are. You’ll get the low down on the idiosyncrasies of each break, its hazards, where to sit, which waves to look for, and tips on your technique to stay in the barrel longer. All guides are certified lifeguards with current qualifications and all of the boats meet international standards for safety and operation so you can be assured to have the best access to surf possible. WavePark has maintained the local community as a central focus to their sustainability management system from the beginning. 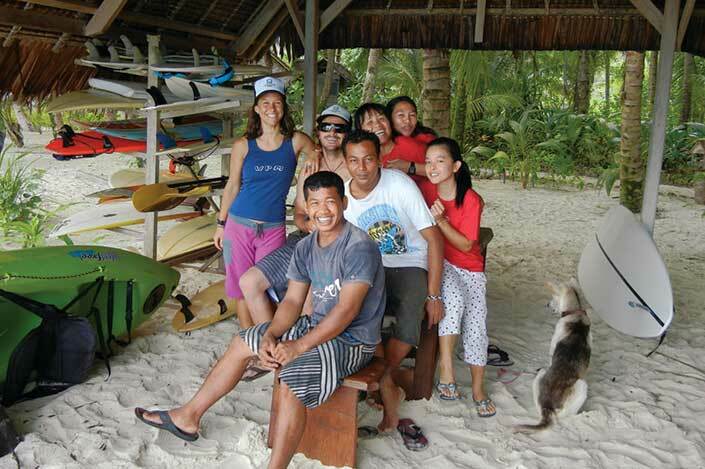 Their Purchasing Manager incorporates local entrepreneurs into their supply chain as much as possible between Padang and the Mentawais to keep revenues in the local economy. Management provides scholarship programs, books, and educational programs for their crew in order to further their education and increase local livelihoods. Not to mention, the resort teaches their staff how to surf with donated boards from repeat guests so the local surfing community can grow! WavePark has also makes in kind donations to local government initiatives, health programs, cultural events, mosquito nets, water filtration kits, and loans to help local entrepreneurs start their own businesses. All of this means you can feel confident that the cost of your dream surf vacation is going right back into the community. From local employment on the island to local employment at their offices in Padang, all the different levels of management have Indonesians calling the shots. In addition to providing salaries well above Indonesian minimum wage standards, employees that take on new responsibilities or roles at the resort are adequately compensated of course, but WavePark also provides a 10% raise per year for all employees across the board. As a result, the resort experiences high staff retention with quality employees who are passionate about WavePark’s initiatives because they see firsthand the positive impacts sustainable surf tourism has brought to their family and friends. Unlike some of the other operators in Indonesia who set up shop due to the unregulated surf tourism growth that has impacted the region over the last couple decades, WavePark has not jeopardized the provision of basic services to the locals. 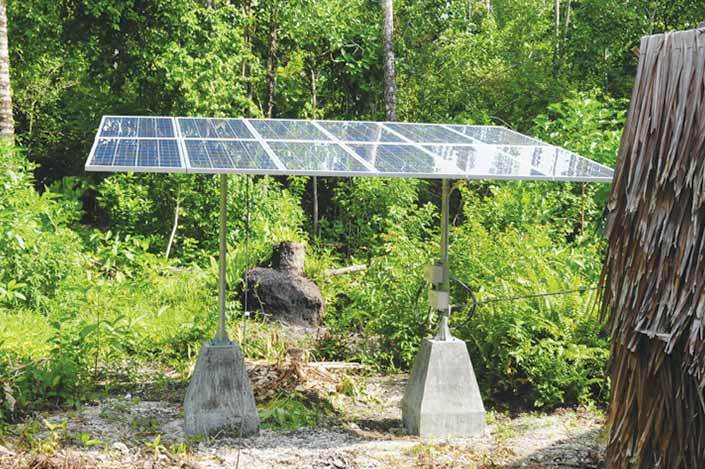 In fact, the resort has enhanced many of these services most of us take for granted—like having working toilets, which the resort installed in nearby villages to resolve local sanitation issues. 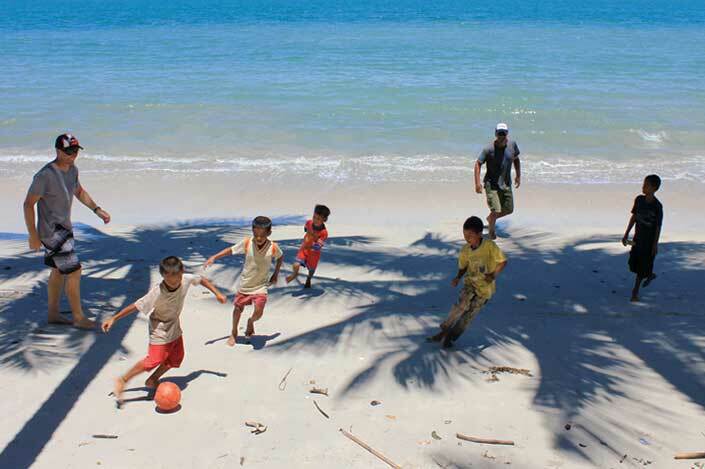 Resort staff also provide transportation for the local coconut harvesters from their villages to the coconut farms. In addition to providing direct support to local health clinics, anyone from the adjacent villages that sustain minor injuries are treated at the resort with stitches, bandaids, and antibiotics. Next time you’re planning a trip to Indo, think about all the surf tourism operators who have exploited the local community and environment—your accommodations choice matters and remember that WavePark has been leading by example from day one. WavePark encourages guests to visit nearby villages on the island and surrounding islands to enrich the cultural experience. In order to minimize visitor impacts on the community’s perceptions of tourism and maximize enjoyment for both parties, it is imperative that management provide resort guests with a cultural code of conduct. Before attending a cultural event or demonstration, WavePark guides will instruct you on how to behave respectfully both verbally and nonverbally within the specific cultural context. These guidelines have been developed by local staff and management with consent and insight from community leaders to ensure you learn all the unique aspects of their culture with great reverence. 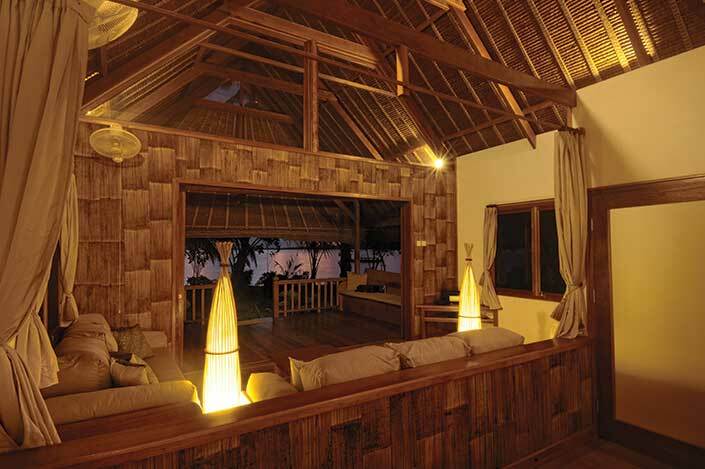 Not only did WavePark source local materials and labor in the development of the resort, but they also honored the traditional lodging styles of the Mentawais by employing the same construction styles (e.g. rattan instead of nails) and machines that the locals use to build their homes. WavePark bungalows feature photographs of local flora and fauna as well as coconut art, textiles, and sculptures made by artisans in the Mentawais so you can feel absorbed into the local culture. Many of these artworks are available in WavePark’s gift shop so you can support the people directly behind the craft. Perhaps one of the best ways to experience the culture is to sample the local cuisine—lucky for you, Indonesian food is fully integrated into the WavePark menu. Beyond the epic surf you’ll have, it is these subtle cultural characteristics that make a surf trip one to remember. Going hand-in-hand with WavePark’s mooring conservation efforts for coral reefs, sustainable fishing is critical to the health of local marine ecosystems which is why resort management has gone above and beyond the call of duty. They have been a leader in combating unsustainable fishing practices like cyanide and dynamite fishing by documenting illegal activities and providing an early warning system for local authorities to arrest organized crime syndicates from mainland Sumatra who are plundering and destroying the subsistence fisheries of local communities. On a smaller scale, surf guides also know how to educate guests and locals in the community on what fish to keep or release based on size, gender, species, and time of year. When you order seafood at the WavePark restaurant, you can have peace of mind knowing they only use sustainably harvest fish purchased directly from local fishermen or in Siberut—never from Sumatra. Although the resort started with diesel generators (renewable energy was not readily available in Indonesia in the 1990’s), WavePark utilizes the most efficient generators possible and their energy management and conservation practices minimize diesel usage as much as possible. All of these measures are an interim solution while management works to increase their existing renewable energy infrastructure. Currently, WavePark uses solar hot water systems for all of the bungalows and the resort owner’s house is entirely powered by rooftop solar to offset some of the resort’s footprint. Soon, the only diesel being used by the resort will be for it’s 4-stroke boats—that is, until innovations in boating technology catch up! In order to protect the most precious assets to surf tourism in the Mentawais, WavePark created the Mentawai Mooring Movement—a nonprofit dedicated to deploying moorings throughout the Mentawai island chain to mitigate impacts on coral reefs from boats dropping anchor. WavePark consulted NOAA in how to best introduce the mooring program, how to install and maintain the moorings, as well as train and educate staff and other operators on how to use the moorings. Besides WavePark’s game changing initiative with reef conservation, the resort also hosts regular beach clean ups with staff and guests where they are encouraged to find the most interesting piece of rubbish on the beach via gamification—unfortunately a lot of random trash floats from West Sumatra onto the Mentawais. When you go to paddle out, you can surf easy knowing WavePark is doing everything in their power to preserve these reefs for generations to come. Stoked? Check out the surf! Sustainability has been important to WavePark since we opened our doors. “Sustainable” for us means that our business can thrive long-term on win/win/win solutions, deeply embedded into communities who support our success, because we support theirs. We realized that many of our strengths rely on communicating our policies to our guests, employees, partners, government and community. Moving forward, we are committed to improving how much and how often we communicate with these stakeholders, to make sure that potential synergy between the various parties does not lie dormant. We cannot rest on our laurels with our environmental conservation, and will be expanding our efforts in our two-stroke to four-stroke engine conversions, high-octane cleaner burning fuel purchases and our moorings installations and maintenance. Little things, like transitioning from cloth napkins for 2/3 meals, to every meal. Transitioning all lights to LED. Repairing our broken TVs and computers, rather than the cheaper option of just throwing them away. In the future our focus will be broader on sustainability and viability within our region. Mentawai is at a turning point, and both our neighboring resorts and government bureaucracy needs support to secure our futures together. Creating a viable roadmap to sustainable development and introducing law enforcement with common operational standards is crucial to the safety of our guests and a healthy industry. With a secure investment environment, businesses will be better placed to focus more on CSR and sustainable development programs. We will be doing all we can to help all concerned to work together towards this future.